Besides Prohibition, another momentous event that occurred on January 16 was Benny Goodman’s legendary concert at Carnegie Hall, which happened in 1938. It was the first jazz concert ever held at Carnegie Hall, and has been credited as the event that brought swing jazz into the mainstream. Though Goodman was initially hesitant to take the gig, he did following the success of Hollywood Hotel, in which he appeared. At first, the audience’s reception was lukewarm, but soon Benny won them over, and it became one of the greatest landmarks in music history. 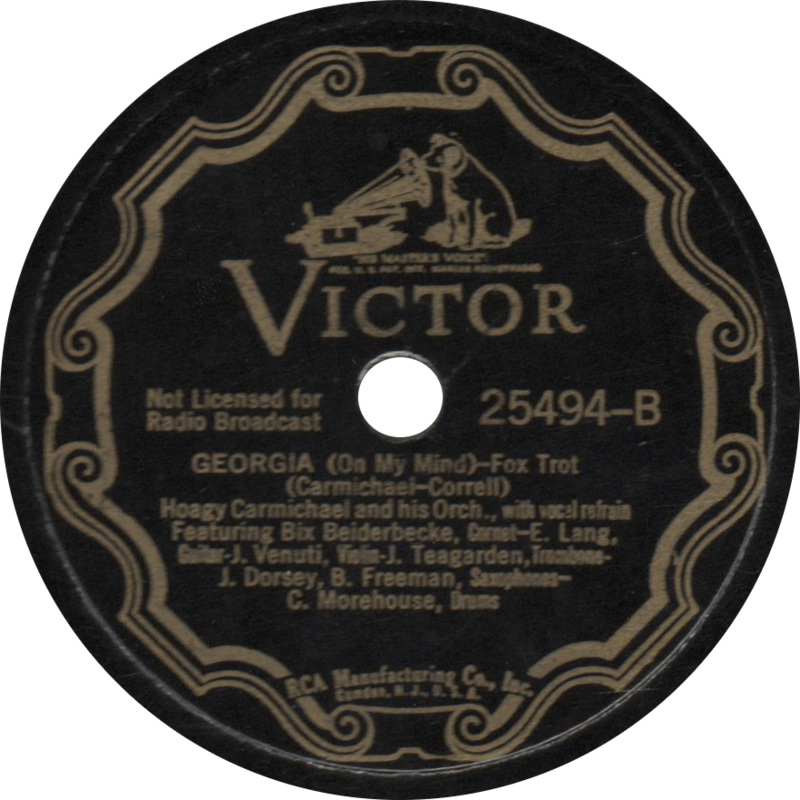 Particularly popular with the audience were Martha Tilton’s swinging of the Scottish folk song “Loch Lomond” (how’d you like for me to post the record of one sometime? ), and the band’s legendary performance of Louis Prima’s “Sing, Sing, Sing”. The entire concert at Carnegie Hall was recorded and released by Columbia Records on the new LP format in 1950. Ordinarily, I wouldn’t post two records in the same day, but the date of Goodman’s concert came to me long after I had already planned the other one, so all you lucky readers get a two-fer today. 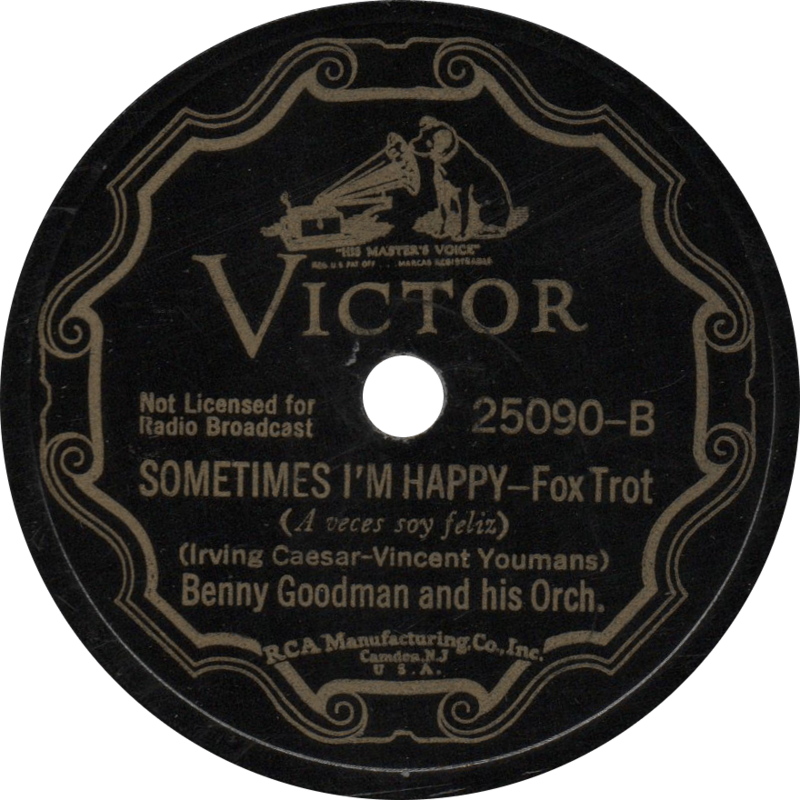 Victor 36205 was recorded July 6, 1937 in New York City by Benny Goodman and his Orchestra. 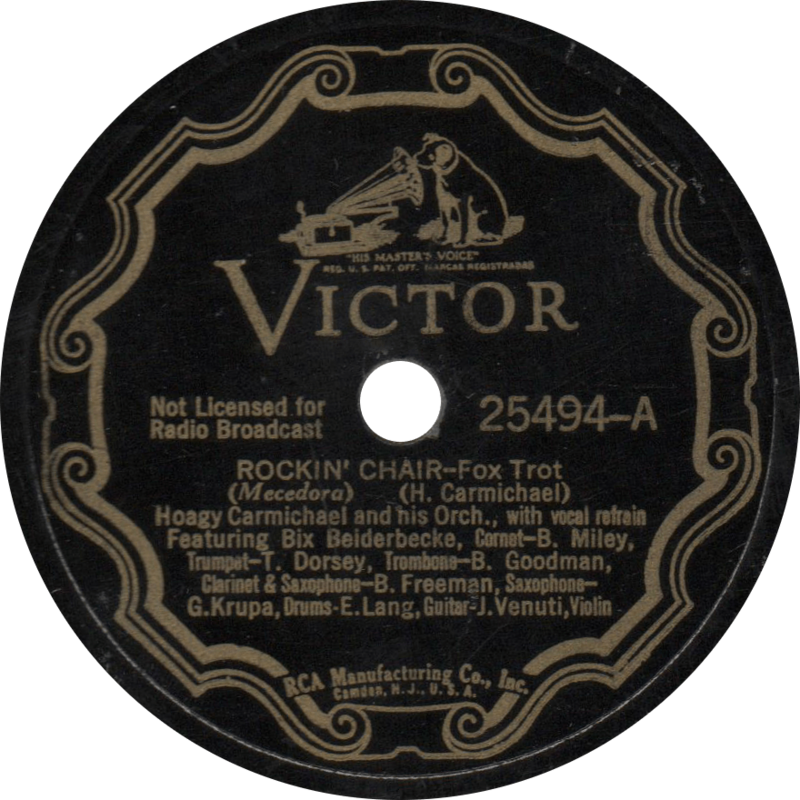 This one was not recorded at the Carnegie Hall concert, but rather a few months earlier, around the time he was filming Hollywood Hotel. 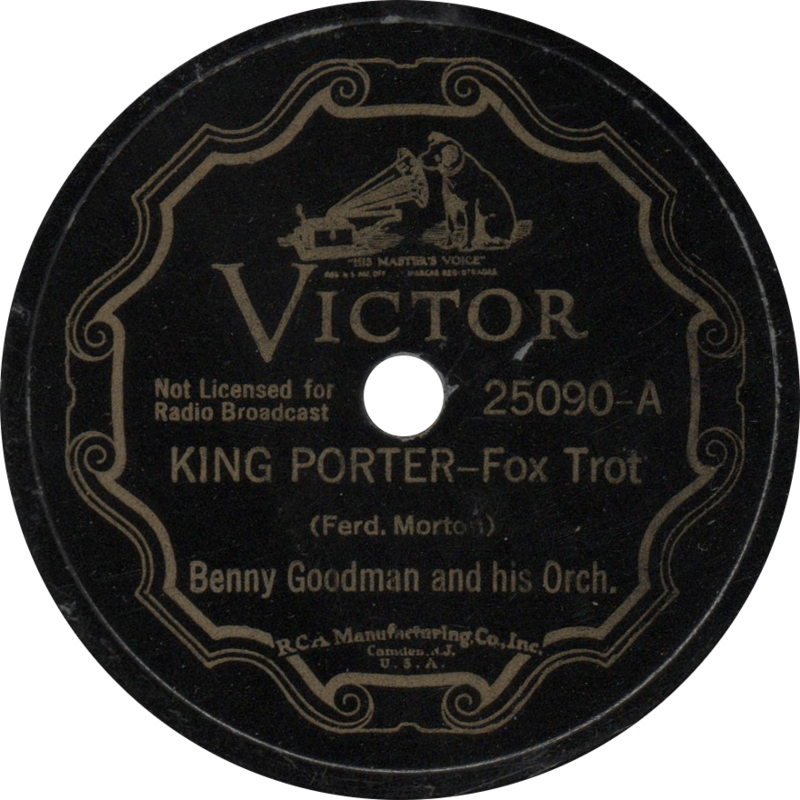 According to the label, the band includes Benny Goodman on clarinet, Hymie Schertzer, Arthur Rollini, George Koenig, and Vido Musso on saxophones, Harry James, Chris Griffin, and Ziggy Elman on trumpets, Murray McEachern and Sterling “Red” Ballard on trombones, Harry Goodman on string bass, Jess Stacy on piano, Allan Ruess on guitar, and Gene Krupa (whose birthday was just yesterday, the 15th) on drums. Here it is, the legendary “Sing, Sing, Sing”, played with a bit of “Christopher Columbus” interpolated within. Both sides of a longer playing twelve inch 78 played end-to-end for your listening pleasure. 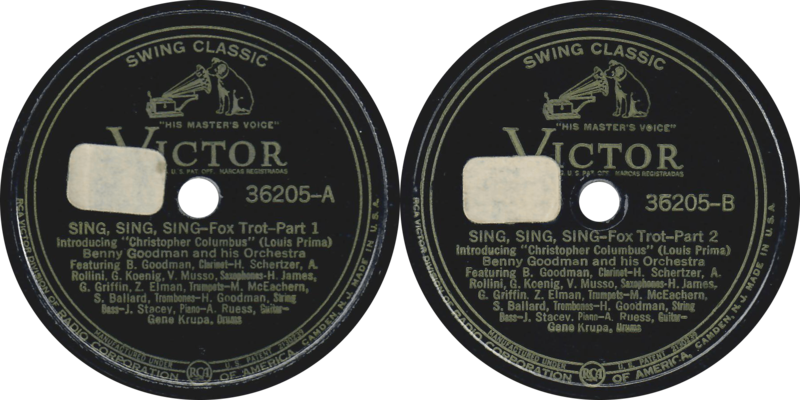 Sing Sing Sing (Parts 1 & 2), recorded July 6, 1937 by Benny Goodman and his Orchestra.